Don't worry, I read a lot more than five middle grade books in 2016, but a lot of them were either backlist or ARCs. These are my five favorites published during the actual calendar year. 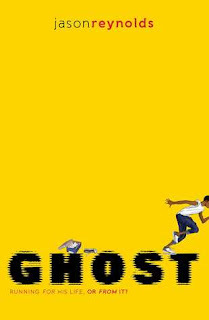 Castle Crenshaw, AKA Ghost, is fast. He has to be. But his running has a purpose, so when he sees kids in fancy outfits running in circles (what a waste!) he wanders over. Coach recognizes Ghost's talent, but can Ghost hold up his end of the bargain in order to stay on the team? 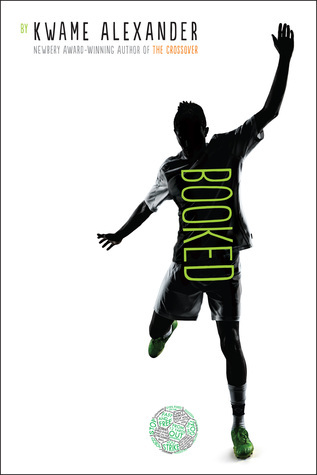 Nick and his best friend Coby dream of competing in a national soccer tournament. But life isn't a fairy tale--Nick has to deal with school drama, family drama, and girl drama. 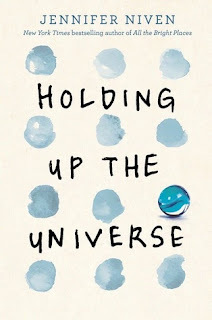 This novel in verse is a great successor to The Crossover. For Deja, the idea of looking at the New York City skyline and seeing two tall towers is a strange one. 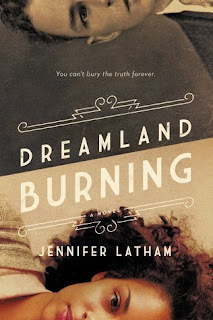 She knows something bad happened on September 11, 2001, but not any of the details. And why won't Pop talk to her about it? 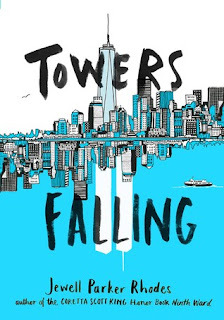 This is an extraordinarily important novel for children born after the towers fell, or those too young to remember. For those of us who lived it and watched it live, we have a responsibility to explain it to this next generation. This book is a great way to start the conversation. Chloe Cho is very, very, VERY tired of being the only Korean American girl in her town. She's sick of being compared to famous violinist Abigail Yang (because all people from East Asia are music prodigies!) and she wishes her parents would actually talk about life in South Korea and give her some cultural background. Well, Chloe's going to get some cultural background, all right, but it's definitely not what she expected. 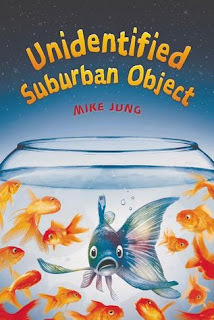 A delightful book by the equally delightful Mike Jung. This solo effort by Faith Erin Hicks is brimming with adventure and action. 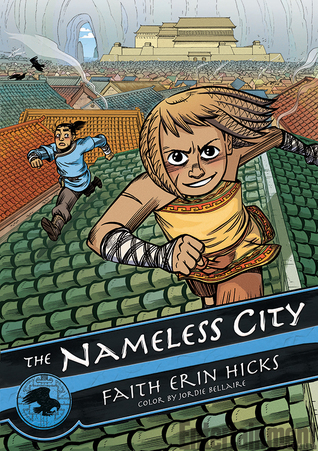 Hicks weaves the multicultural aspects of the titular Nameless City into the story effortlessly, and the characters are refreshingly non-pasty.